Stuart Long, CEO, InfoBionic Wearable bio-sensing systems have become ubiquitous, providing effective routes for quantifying critical physiological metrics in both medical and consumer applications. Multi-lead Holter monitoring devices and event monitors, for example, represent the clinical standard of care for detecting and diagnosing cardiac rhythm and rate disorders based on continuous electrocardiogram (ECG) waveforms and rate-related information. Although these devices have been widely adopted, they are susceptible to poor patient compliance due in part to their bulky form factor and wired connections to leads. This is where InfoBionic steps in, aiming to alleviate these limitations. InfoBionic delivers never-before accessible control over patient data through their 3-in-1 ambulatory electrocardiograph (ECG) monitoring and arrhythmia detection system. Rather than going from one Holter monitoring device and then referring to a separate event monitor or mobile telemetry device and test, InfoBionic can accomplish this with one device, one intuitive user interface on a single platform. The company’s MoMe Kardia system is a cloud-based, automated cardiac monitoring system that delivers on-demand, true, full disclosure data, and analytics directly to physicians, eliminating the need for third-party service providers. Yet, this alone is not what sets the company apart. By allowing physicians to bill globally for 100 percent (vs. 5 percent) of the services they provide, it entirely turns the reimbursement paradigm ‘right-side-up’ and gives back control to the physicians, on par with the standards they are used to inside their office or hospital’s ECG testing, stress testing and/or echocardiography. A one-piece device, MoMe Kardia is compact, lightweight, and also ensures complete patient compliance. 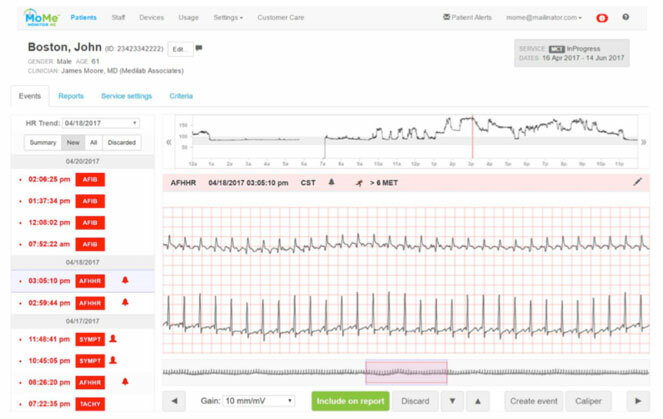 Advancing the conventional model for cardiac arrhythmia detection and monitoring, InfoBionic’s solution enables practices with advantages in three main areas: data, clinical, and financial. In terms of data advantage, the company has acquired high-resolution 2-channel true full disclosure which means that organizations no longer miss critical views on the onset and offset of an event as well as the ability to verify on demand reported events that clinician determine they want to be notified about. “Most service providers that claim full disclosure only offer snippets from detected events which results in greater than 99 percent data loss. However, while our device is worn, every heartbeat is detected, sent to the cloud, and every bit of high-resolution data is used to make diagnosis faster than anything in the market,” says Stuart Long, a veteran medical device executive and the CEO of InfoBionic. 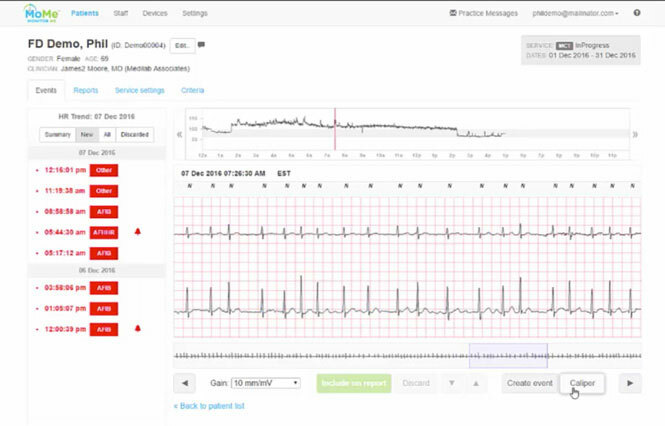 Further and in contrast to the traditional market devices where they use a single onboard algorithm to analyze the cardiac signal, we transmit the patient’s high-res 2-channel ECG directly to the cloud and use a number of AI algorithms rooted in deep learning AI. The model also results in substantial reimbursement or financial advantages as it eliminates the requirement for third-party vendors. While insurance companies reimburse around $1.3 Bn for remote cardiac monitoring, when third-party vendors provide their services, over 95 percent of the funds are directed toward them. 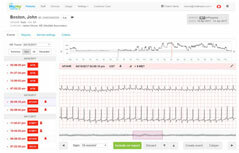 Oftentimes vendors, certified centers, or independent diagnostic testing facilities (IDTF) that provide cardiac remote monitoring services are in charge of procuring and communicating final patient reports, and this process takes days or weeks, creating a delay in the workflow and most importantly a potential for a delay in time to diagnosis. InfoBionic aims to make the IDTF model obsolete by offering automated software which ensures 100 percent of the reimbursement goes to the physicians or health system which provides up to 25 times more return on investment (ROI). With the MoMe Kardia monitor, medical groups or hospitals no longer have to depend on a third party provider for inventory and instead can bring the technical portion of service under their control and bill globally for the services provided using existing current procedural terminology (CPT) codes. Besides, the system offers a strong clinical advantage with 24-hour access to patient data. Physicians can easily correlate symptoms with rhythms and access the data through a user-friendly, HIPAA-compliant platform via desktop, tablet, or mobile. 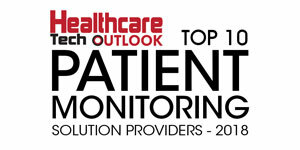 In a case in point, North Suburban Cardiology Associates in Stoneham, MA was using different ambulatory monitoring strategies, the most frequent being Holter monitoring, as well as event monitoring and mobile telemetry. What piqued the medical group’s interest inInfoBionic was the 3-in-1 solution. MoMe Kardia enabled the client to select the most appropriate monitoring modality based on patient symptoms, technical awareness, insurance coverage, and patient finances. Instead of waiting days for a report, the client has access to full disclosure data at any point in time by simply pressing a button. The same monitor was used on all patients and in case of a high index of suspicion; action could be taken immediately, instead of waiting days for a Holter or an Event Monitor to be returned. High resolution true full disclosure was also helpful in tracking the onset or termination of supraventricular tachycardia (SVT) or abnormally fast heart rhythm. Furthermore, the client also used the tool for feedback. For example, instead of providing patients with a text report of their monitor findings, with MoMe Kardia the client was able to login to the user interface and show them specific symptoms. This was engaging and reassuring for patients as they had full information about their condition. Also, if a patient had never undergone telemetry monitoring, then the cardiology center could begin with event monitoring or MCT. This remarkably simplified the workflow for the users and staff. Patients no longer had to turn to old units, and it also helped make and exclude diagnoses in a streamlined manner. With mobile telemetry, an abnormal condition was detected sooner than usual, which in turn increased efficiency while reducing the turnaround and wait time. "A one-piece device, MoMe Kardia is compact, lightweight, and also ensures complete patient compliance"
Under the company’s subscription as a service (SaaS) model, a client can use each device on as many patients as needed. After the first few uses, the device helps capture more revenue for the same amount of work previously done and starts paying for itself and generates quicker ROI. For maximum client benefit, InfoBionic offers a month of free trial to all clients. Focusing on a value-based system, with InfoBionic a client can enroll, get trained, and begin monitoring on the same visit itself. While most traditional service providers mail the device to a patient with an instruction video, InfoBionic trains medical staff or cardiac technicians on how to use the product as well as generate preliminary reports on the device itself. Being a customer focused company Long firmly believes in obsessing about customers and not their competition. “My role as a CEO is to build trust, and at InfoBionic we instill the methodology of a “tacit culture™.” While tacit stands for being understood without stating it, Long has a unique acronym for it. He defines tacit as trust, accountability, creativity, innovation, and transparency. InfoBionic’s work culture is a true reflection of its value based system where productivity and accountability are set in high regard, and there is an environment of mutual trust in each other, which ultimately and most importantly leads to long-lasting and trusted relationships with the customers. In the days ahead, the company is planning to expand throughout North America and subsequently internationally. According to a study by Transparency Market Research, the global cardiovascular monitoring and diagnostic devices market is expected to grow from the present $1.8 billion to $3.1 billion by 2024. The current market of remote patient monitoring is bursting with disruption and opportunities, and InfoBionic being early to market in this innovation wave, will continue to carve a niche by improving their existing services and enabling a new standard of care. “Everyone’s heart beats the same, but when it doesn’t, we want to be there,” ends Long.